The U.S. Army is about to acquire an advanced camouflage defense system, designed to protect troops from a variety of threats in multiple combat environments. The Army recently selected a company that will design an Ultra-Light Camouflage Netting System (ULCANS), a system designed to protect troops and equipment from visible threats and threats that the eye cannot see by using a camouflage screen to block radars across the electromagnetic spectrum. The company selected for the $480 million contract, Fibrotex USA, will spend the next ten years developing and producing the camouflage netting system for our nation’s armed forces. The netting is available in dark and light shades and can withstand multiple combat conditions. “Today more than ever, military forces and opposition groups are using night vision sensors and thermal devices against our troops, but by using Fibrotex’s camouflage, concealment and deception solutions, we make them undetectable again, allowing them to continue keeping us safe,” Eyal Malleron, CEO of Fibrotex USA, told the Army Times. Fibrotex is expected to begin production of the ULCANS system in early 2019 out of a Kentucky facility. The move is expected to bring hundreds of jobs to the area. 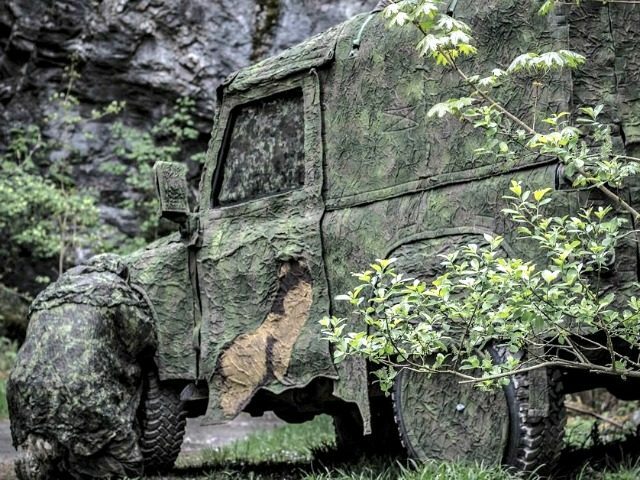 The company also has a contract with the Finnish Army to develop a similar camouflage system, but that contract is set to expire at the end of 2018.